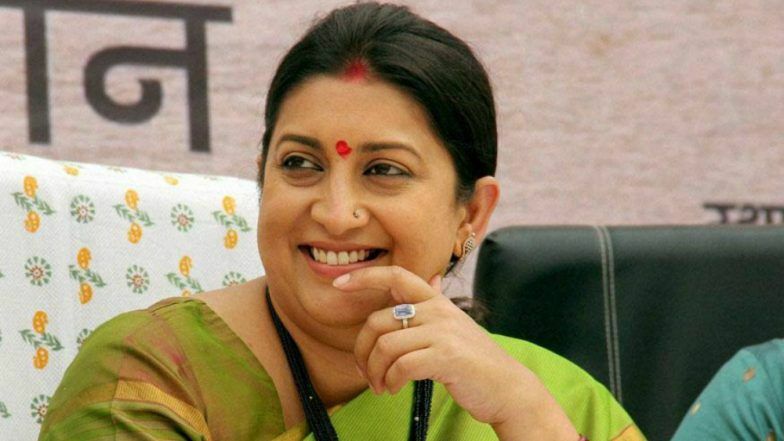 New Delhi, April 12: The Congress on Friday accused Union Minister Smriti Irani of furnishing "contradictory information" about her educational qualifications in the affidavits filed during various elections since 2004. The attack came a day after Irani, who is contesting against Congress President Rahul Gandhi from Amethi in Uttar Pradesh, declared in her affidavit that she was not a graduate. "Smriti Irani has proved one thing that how one can be a 12th class pass from being a graduate. It is possible in only under Modi government," Congress spokesperson Priyanka Chaturvedi said. In her affidavit on Thursday, Irani said that she passed the secondary school examination in 1991 and the senior secondary school examination in 1993. In the category of highest educational qualification, Irani's form says "Bachelor of Commerce Part-1" from the School of Open Learning (Correspondence), University of Delhi, with "three year degree course not completed" in brackets. Lok Sabha Elections 2019: In Poll Affidavit, Smriti Irani Says She Did Not Complete Graduation From Delhi University. Congress also released Irani's affidavits she had submitted during different elections she fought. The affidavits showed that she had "not completed" her three-year degree course. In 2004, Irani's nomination for the Chandni Chowk constituency in Delhi claimed she completed a Bachelors degree in Arts in 1996 through correspondence. In 2014, Irani's document mentioned her qualification as Bachelor of Commerce Part-1, School of Open Learning (Correspondence), University of Delhi, 1994. At an event in 2014, Irani had also claimed that she had a degree from Yale University, the Congress said. Opposition leaders have been targeting Irani over her qualifications.